Managing your throughput takes time. Less time means less cost. Dramatically improve efficiency and reduce costs by doing everything... faster. Paper and complex software waste time & directly impact your profit. Quickly create and send orders from an interface designed to be fast. Instantly duplicate past orders for repeat customers, while keeping everything editable (even designs). 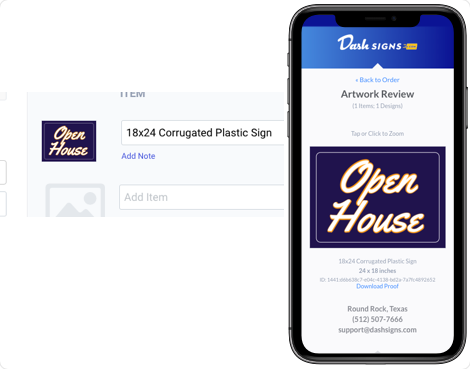 Impress your customers & get paid fast with beautiful, branded, mobile-first invoices & art approvals. Always know every detail of every order, in real-time. 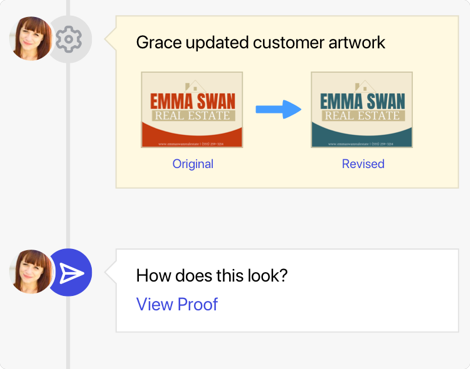 See the entire history, team communication & customer messages in one easy-to-use place, directly on your order. Order events like payments and design changes automatically appear on the timeline, so you can see the full lifecycle. Speed up departmental communication by adding notes & tagging team mates directly from the order timeline. Easily fit Take2 to your business to create efficient production workflows. Intelligent, filterable job boards help you see your shops orders & tasks, and quickly drill down to specific departments. Tag orders with stages or departments to quickly bucket by department, process, or work stage. Quickly assign specific tasks to your team. Advanced searching lets you quickly find any order by virtually any detail, even line item details. 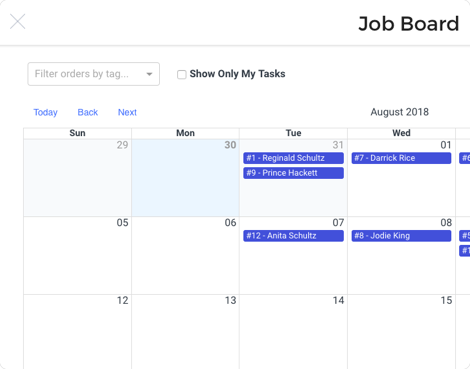 Use with tags to create smart views that mimic your existing workflows.